While I've only been blogging on this site for a year now, I've been fashion blogging in general for over five years. 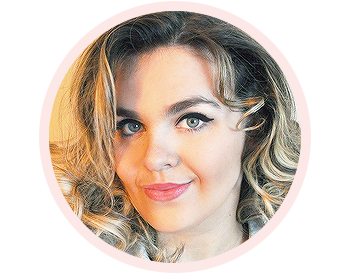 I know my blog certainly isn't the most popular and no one can tell you what to do with your blog, but I like to think I can consider myself a bit of a blogging connoisseur by now. I've looked at hundreds of blogs throughout the years and I know what I like to see when I read a blog. 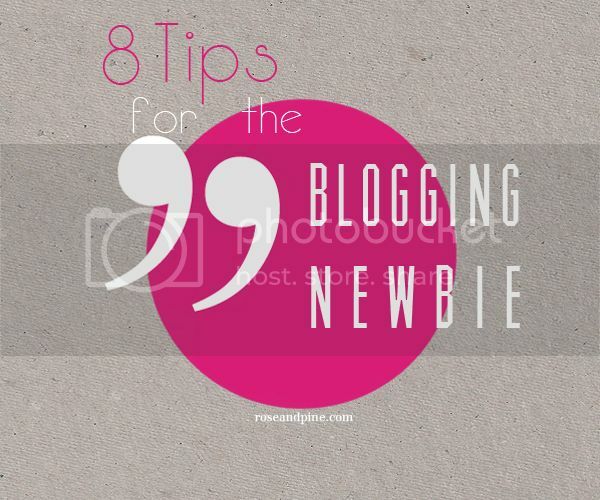 With my experiences in mind I created this list of tips for new bloggers! Whether you run a fashion blog or any other type of blog, I created this post to help my blogging newbiews be the most successful bloggers they can be. Please keep in mind that these are all just tips and suggestions, I am in no way calling out any blogs or putting anyone down. Your blog is your own and no one can force you to change it. And make sure what you're doing makes you happy. If anyone understands how hard it is to plan out a theme, it's me. Thankfully I come from a family of computer nerds and had a near college-level understanding of HTML before I was a teenager. Actually, the element of my blog I get the most compliments on is my blog layout. People always ask who made it for me and I'm very proud to say that I made it all myself. But my theme wasn't always as clean as it is now. My very first blog had a huge picture of Audrey Hepburn. With tiffany blue courier font. And the awful Blogger shadowbox. I still shudder. Use Google to your advantage to create a theme that you love. There are a ton of great templates online and lots of resources. I would never pay for a theme, because I know that I can create my own vision better than any professional graphic designer, but if you feel it's necessary and you totally want to, go ahead. I'm not stopping you. Let's go back a year ago, to an 18-year old Paige picking out a name for her blog. "Hmmm... I like Roses. And I can't wait to smell pine trees this Christmas. Ah! Rose and Pine." Dumb. That Paige was dumb. No matter how many times I get told how "cute and quirky" my blog's name is, I will never stop kicking myself for not picking something more SEO friendly. Stupid. Stupid. Stupid. Pick a name that Google will pick up and lead searchers to. Is it weird that I always look for sources at the bottom of a post or under a photo taken off the web when I visit a new blog? It is, right? I admit it. When I first started, I didn't credit every single photo source. Everyone has been guilty of doing this when they're a newbie. All it takes is a little credit link on the bottom. It's easy and may actually help you out if you need to go back and find something for another post. Also, quotes. Quotes are your friend. Remember, when you "borrow", it is someone else's Intellectual Property. Again, make sure to credit the original author / poster / etc. Link everything you can. I could write a whole series of in-detail posts on photos for your blog, but I am just going to cover the basics right now. Probably the most important is photo sizing. Seeing a post with a bunch of different sized photos is just hard on the eyes. Crop them so they're all the same width, it gives your blog a much cleaner look. And while we're on the subject of photo sizes, try to keep them high-quality. A few Instagram photos every now and then is fun, but try to use that DSLR that you bought for your cruise two years ago and never used again. Dust it off. Give it some love. It's a thousand times better than your iPhone's camera. Once I stumbled upon a blog with the most awful photoshopping I had ever seen. This girl stretched her photo to make herself look so thin that she looked anorexic. It didn't look fashionable, it was painful to see someone with such a negative body image. Looking past the awful computer job, she was perfectly fine. There is no need to photoshop yourself skinny. Don't erase any leg to get a thigh gap - which in reality is actually a sign of malnourishment. As a former model I understand my body when I take a photo and learned a lot of tricks from photographers I've worked with. (If they wanted me to be thinner than I was, they wouldn't have hired me.) I admit that I've blurred out the odd face blemish every now and then, but that is it. I brighten, crop, and sharpen the photo. I adjust any coloring or any background things that need to be taken out. That's it. I never manipulate my body on photoshop and neither should you. You're beautiful! And while we're at it, can we all agree to stop using the blur tool to fake a depth of field? The one thing I hate about Instagram is that it created this unnecessary over saturation of the blur. I love taking with other bloggers. They understand the struggles we go through that a non-blogger just doesn't understand. Posing for OOTD photos in the snow? We've all been there. Site hosting problems? Ugh, tell me about it. A company didn't hold their end of your agreement? There's Ben & Jerry's in the freezer. Bring two spoons. I actually wish I had more blogger friends to bond with. I hate the word 'niche'. It makes me cringe. I detest the thought of having to be categorized into a tiny little box that I can't break free of. I've read dozens of articles on the importance of finding your niche, but let me tell you something. I refuse to be contained to a niche. Instead, I research my readers. I look at their blogs, the blogs they read, and I try to write posts that I think will grab their attention. Reach for the stars! Be all you can be! You're amazing! All of that motivational stuff they try to cram down your throat in highs school. Don't set yourself to a schedule if you know you're not the type of person to follow one. Don't push yourself so hard that you begin to hate your blog or become unhappy when blogging. But most of all, don't underestimate yourself. Whew! I feel like I just ran a marathon. I really hope you all enjoyed this post and can get something out of it, even if you've been blogging longer than I have. This could be a magazine article. Really interesting. A lot of great tips. Love these tips! I think it's really unique and memorable :) I'm a strong believer in "content is king", so as long as you have good posts, people will find you! That is a great tip! Good content is super important, but a lot of people skim over it for some reason I will never understand. P.S. 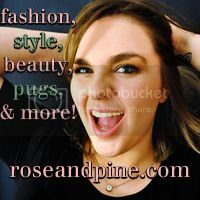 I think Rose & Pine is a great name, I love it! Thank you for enjoying this post! Holy shoot girl, you used to model? Share some pics sometime! I'm so glad someone agrees with me on the niche thing. I can't really think of anything specific I did, I just wrote posts I liked at first until I got a bit of a following, then I went from there! You'll get there one day, just keep doing what you love! I write about everything. Its a little crazy how random I can be. May be that's the reason I don't have many followers. But I'm trying to find a rhythm or something on those lines. I understand how finding a rhythm can be hard, but just keep working on posts you love! All newbie bloggers crave for visitors. These tips are good but we need to do a lot more.